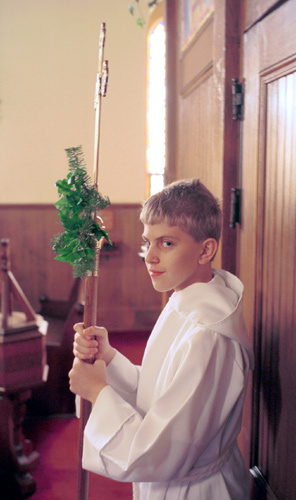 Eric was Crucifer for the first time today. That's a big deal for a 12 year old. It means he's responsible for making sure all the things our Priest needs are at hand during the Mass. He said, "I did a pretty good job, I only forgot to ring the chimes."